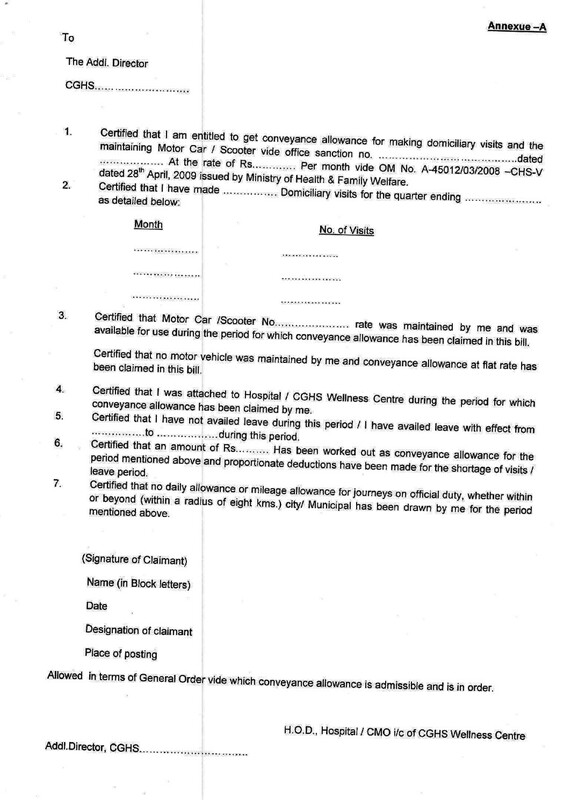 With reference to the above subject undersigned is to state that the payment of Conveyance to CGHS doctors (GDMOs and Specialists) working in CGHS Wellness Centres for domiciliary visits and performing Other official duties is governed by this Ministry 0M No. A-45012/03/2008 -CHS-V dated 28th April, 2009. 3. The instructions shall be applicable uniformly for CGHS Medical Officers regardless of their posting in a Wellness Centre or a Central Government Hospital or a medical College.